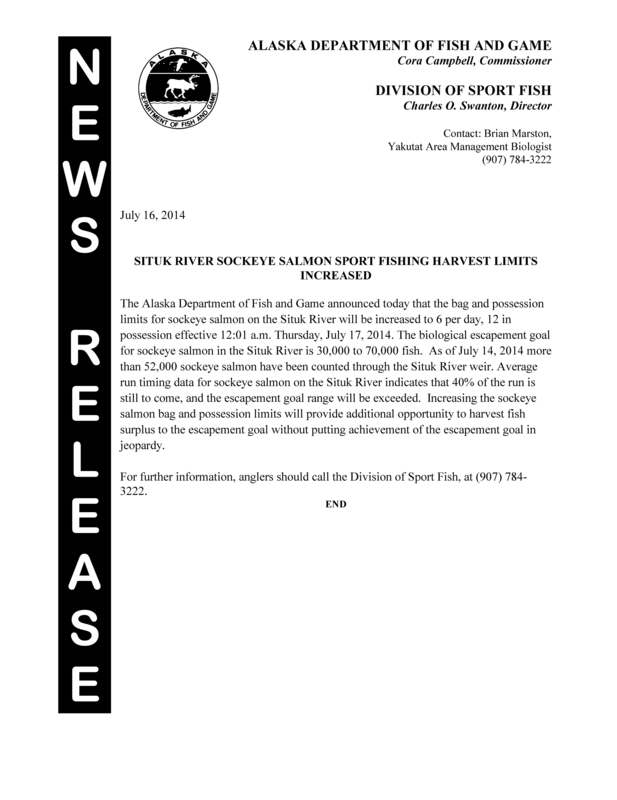 The Alaska Department of Fish and Game announced today that the bag and possession limits for sockeye salmon on the Situk River will be increased to 6 per day, 12 in possession effective 12:01 a.m. Thursday, July 17, 2014. 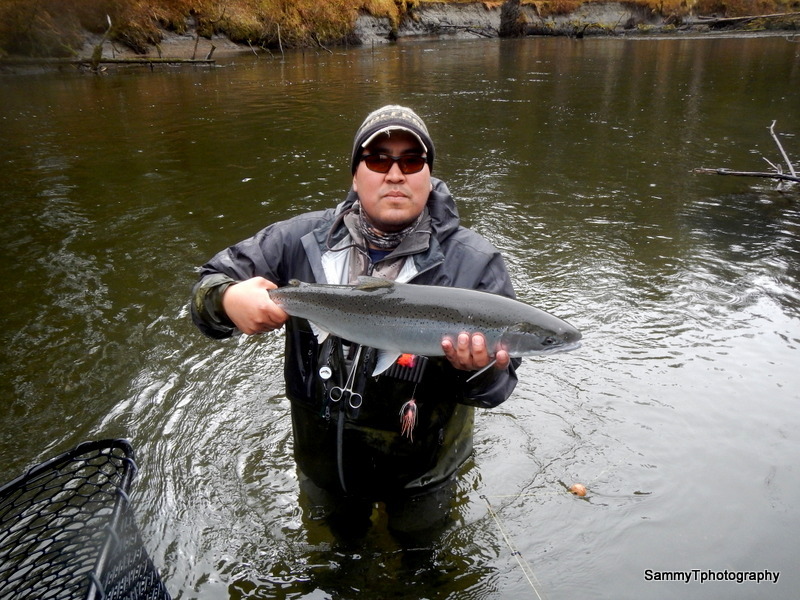 The biological escapement goal for sockeye salmon in the Situk River is 30,000 to 70,000 fish. 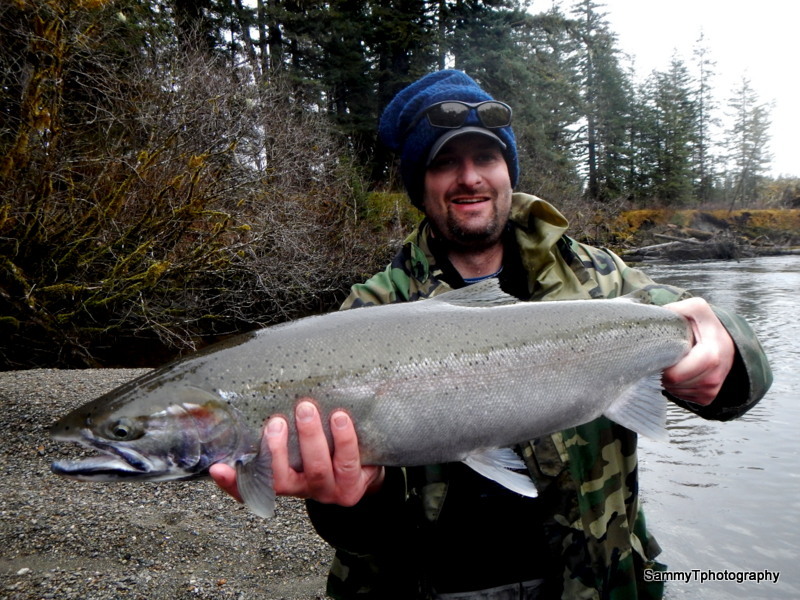 As of July 14, 2014 more than 52,000 sockeye salmon have been counted through the Situk River weir. 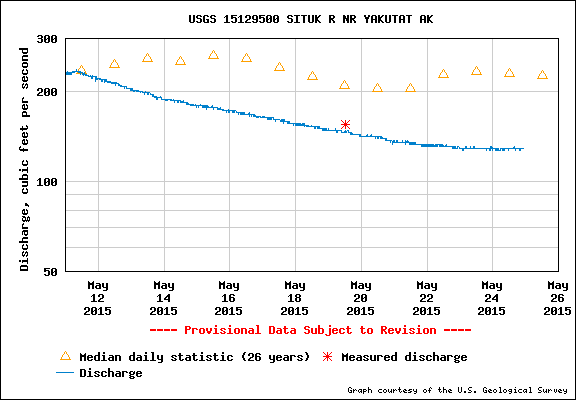 Average run timing data for sockeye salmon on the Situk River indicates that 40% of the run is still to come, and the escapement goal range will be exceeded. Increasing the sockeye salmon bag and possession limits will provide additional opportunity to harvest fish surplus to the escapement goal without putting achievement of the escapement goal in jeopardy.